On October 4 the Calcasieu Parish Sheriff’s Office arrested Michael Dugas, 48, 437 Erika Lane, Lake Charles, after an investigation of a traffic fatality in Moss Bluff. The preliminary investigation revealed the driver of a 2014 GMC pickup truck, Vance Charles, 63, Lake Charles, was traveling north on North Perkins Ferry Road. Charles pulled in a parking lot and backed on to North Perkins Ferry Road, starting to travel south, when Dugas’ truck, struck Charles’ truck from behind. Charles was transported to a local hospital where he was pronounced dead. When deputies were speaking with Dugas he showed obvious signs of impairment. Dugas was arrested and booked into the Calcasieu Correctional Center and charged with DWI 1st and released on $1,000 preset bond. Before initial booking Dugas was transported to a local hospital for toxicology testing, and on November 2 detectives received the results of the toxicology test which resulted in the additional charges of vehicular homicide and reckless operation for Dugas. On November 3 Judge Clayton Davis signed a $400,000 warrant for Dugas’ arrest and on November 4 he turned himself in to the CPSO Warrants Division. 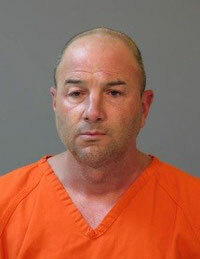 Dugas was arrested and booked into the Calcasieu Correctional Center. CPSO Sgt. Bryan Guth and Sgt. Luke Pierrotti are the lead investigators of this accident.